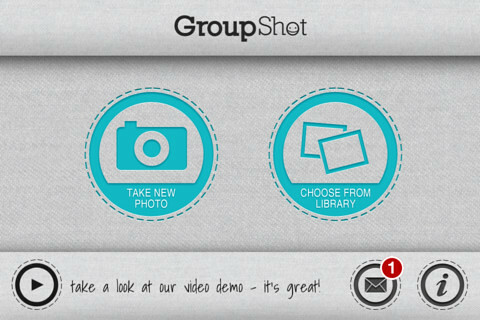 Create Perfect Group Shots On Your iPhone With GroupShot! We’ve all had this problem when taking group photos; someone would blink their eyes, some looking elsewhere, some not even ready to pose. Well, this problem has been elimited with the release of the app called GroupShot. 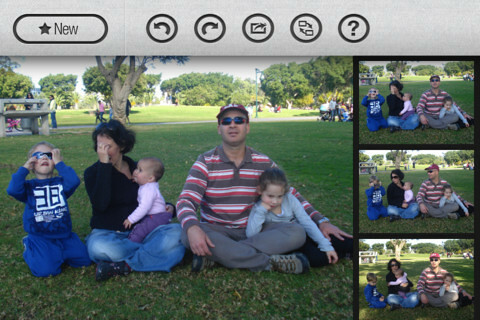 GroupShot can help you make your family pictures perfect. 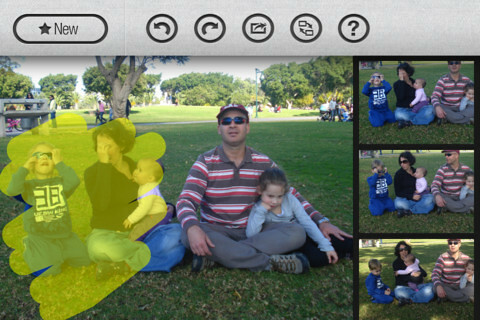 GroupShot allows you to create a perfect photo by choosing the best face in every picture you took. It is extremely easy to use and requires no technical knowledge at all. All you need to do it take a few burst shots of the gtroup, open then in the app and select the parts you want to replace from another group shot and you’re done! Sounds simple… works simple too.